Did you guys know that today (May 2nd, 2013) is the 15th anniversary of Voldermort's death? You know, if Voldermort was real. That's ok, I figured you wouldn't know that. This also means it is the anniversary of the end of the 2nd Wizarding War. You know, isn't in nice that Voldermort waited to die at the end of the school year, so Harry could have holidays before going back to his final year at Hogwarts. 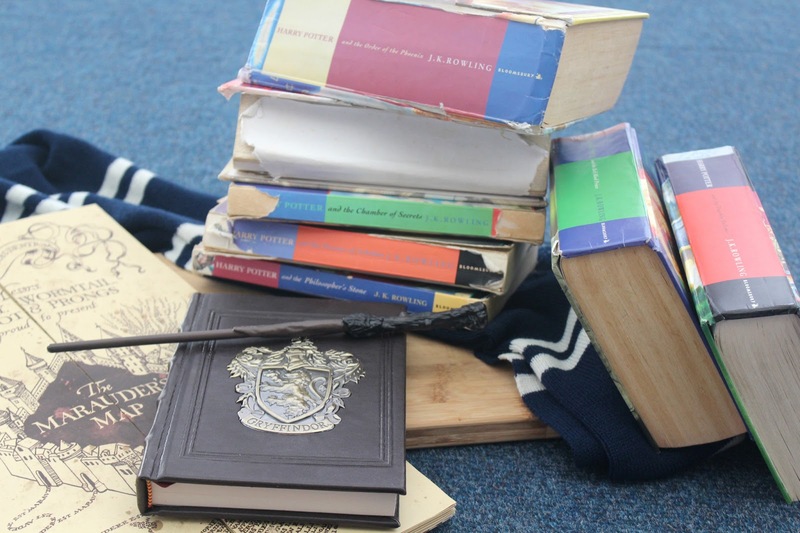 He wasn't so bad after all - he always attacked Harry at the end of the school year, but before exams, so Harry only sat like three exams his entire high school life. For those who don't know, I am a massive Harry Potter fan. I actually think it would be impossible to be my friend and not know this. I am definitely one of those obsessive fans. I have an insane collection of Harry Potter stuff, the picture below is just some of it. And yes, my books are pretty ruined. They have been read a lot. I am sorry for the insane amount of pictures in this post, but I had to put them in. 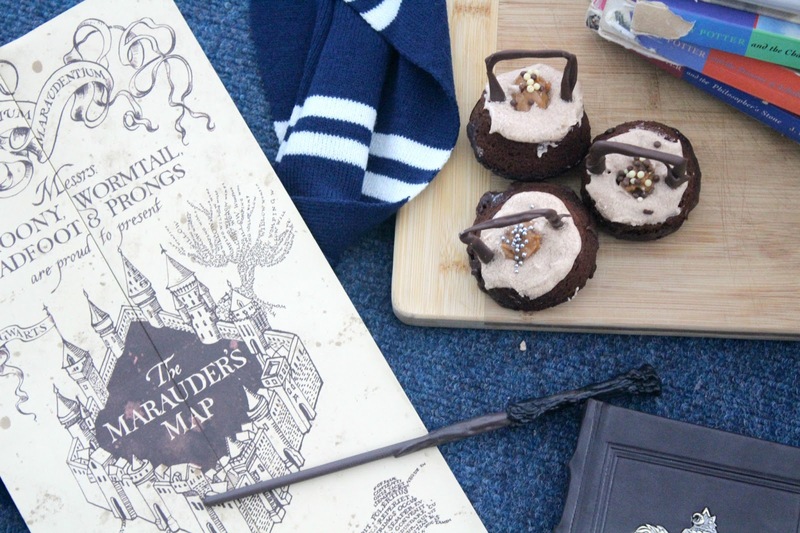 These cauldron cakes are just so gorgeous. I had an absolute blast making these. I was inspired to make them as I recently reread the series. 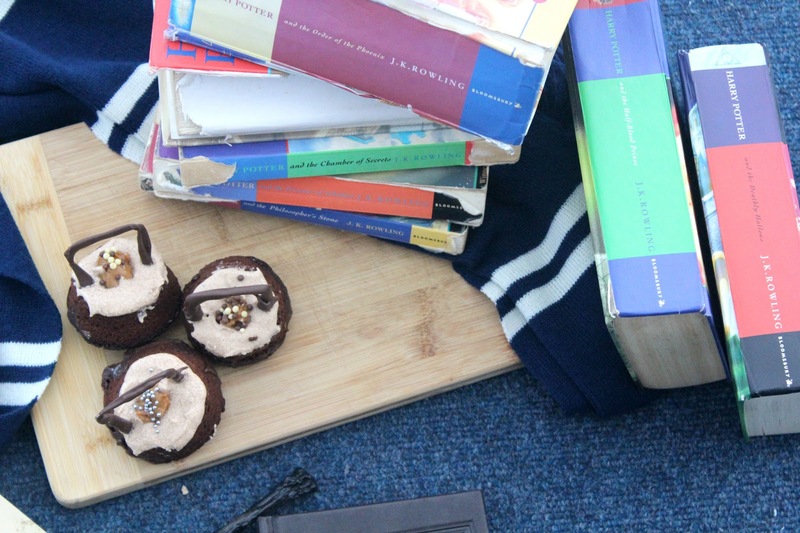 Harry and Ron first shared cauldron cakes in the Philosophers Stone on their way to Hogwarts, and it became a ritual for the two of them to eat them every year on the train to Hogwarts. 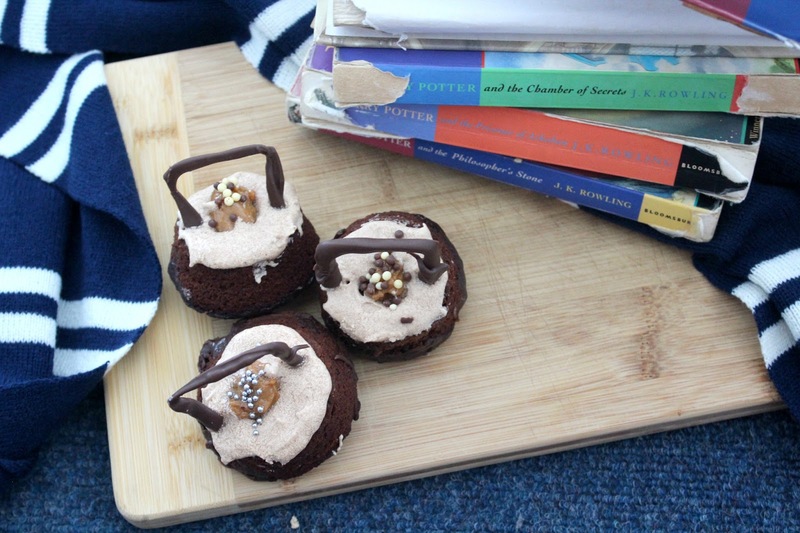 I really wanted to make these as my first Harry Potter related treat because they were something Harry and Ron shared, and it helped them to become friends. Their friendship has to be one of the most enduring and amazing friendships in modern time, and I wanted to make these to memorialize it. For those of you who have only seen the movies - Hermione WAS NOT Harry's best friend. Ron was. They took that away from him in the movies. Read the books and you'll know that Ron was way cooler than in the movies (poor Rupert Grint). Sorry to those who are aware of this, but it is a pet hate of mine when people say Hermione was Harry's best friend, or worse, that Hermione and Harry should have gotten together (blasphemous!). 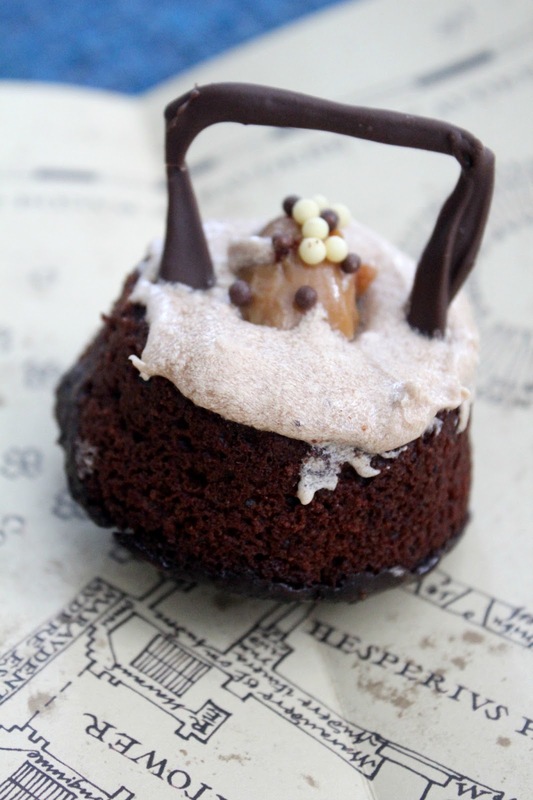 I got the idea for these cauldron cakes from the books themselves and from the cakes sold at the Wizarding World in Florida, which I have yet to go to and cannot wait to go to. I actually wanted to take a year off between high school and uni and work there. I am that crazy about Harry Potter. The recipe is actually incredibly simple. 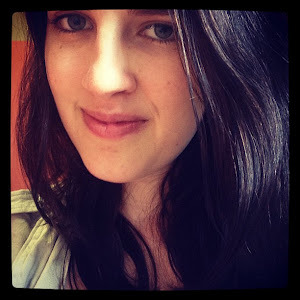 And I have, somewhat, step-by-step pictures so it is easy to follow along. These guys are amazing - delicious, relatively easy and gorgeous to boot. I would definitely have these at a Harry themed party (hint hint, my friends) or just any day of the week. 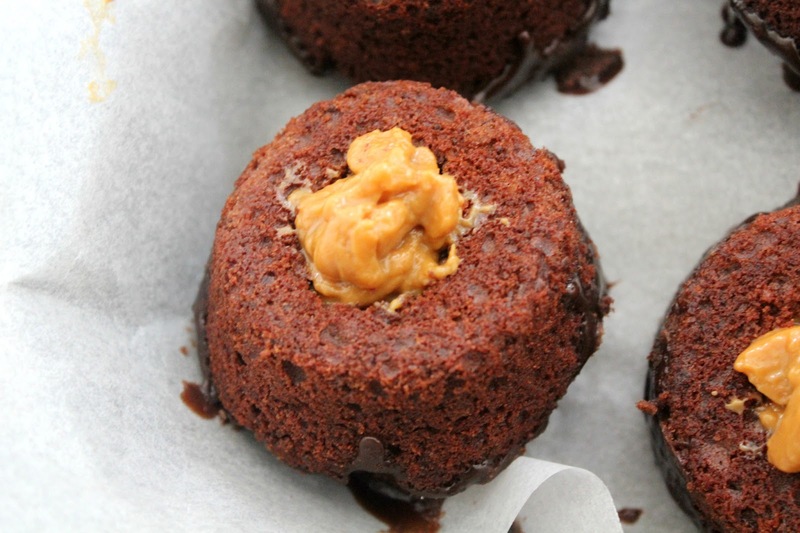 One chocolate cupcake recipe – you need a decent, rich, thick cupcake recipe. While fluffy cupcakes are nice, you need a thick base for these cakes. 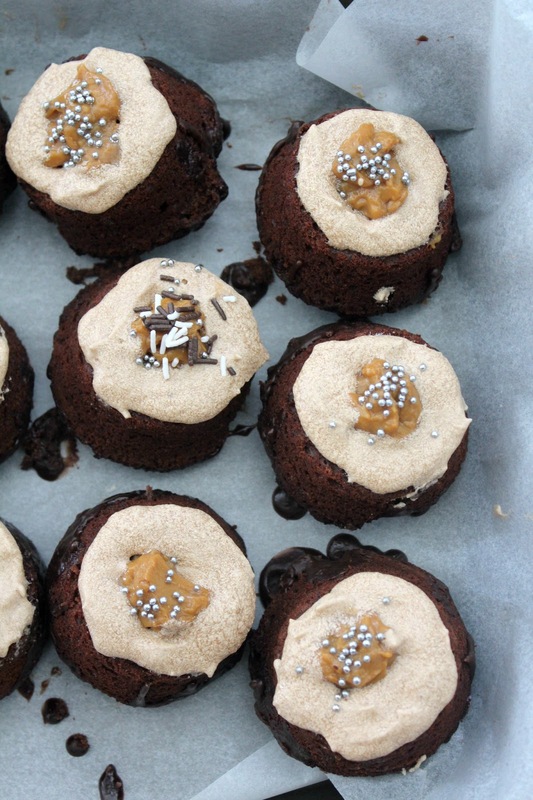 I used this Martha Stewart recipe, but you could use your favourite recipe or a box mix. Beads, sprinkles, other edible decorations to place in centre of cauldron as if it were filled with ingredients. 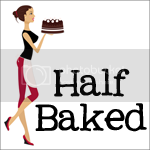 Makes the cakes however you chose (see above). Allow to cool completely. Turn cupcakes over so the bottom is facing up. 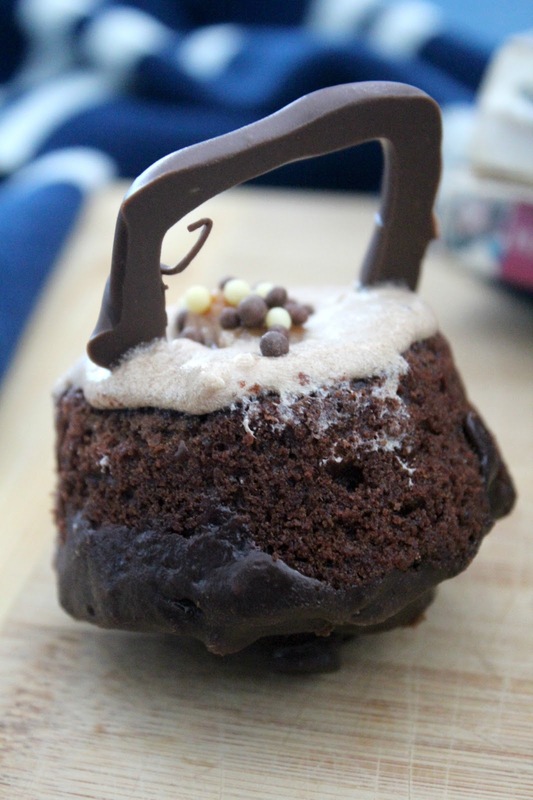 Using a knife, cut holes into each cupcakes – make sure the holes are relatively big and deep. Turn cupcakes back so they are standing the normal way. 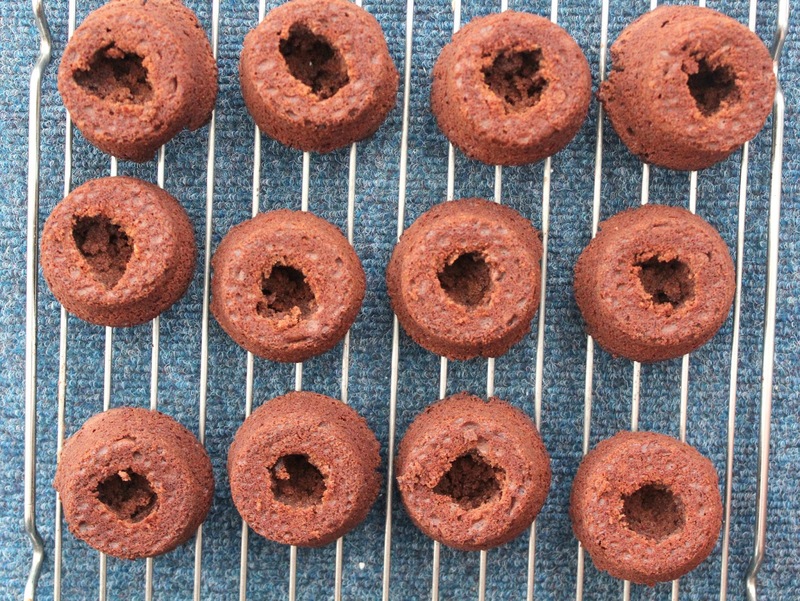 Make the chocolate glaze for the cauldron bottoms by melting the chocolate and butter over low heat until thick and well combined. Allow to cool slightly off heat so it thickens slightly. Then, dip the top of each cupcake into the glaze. 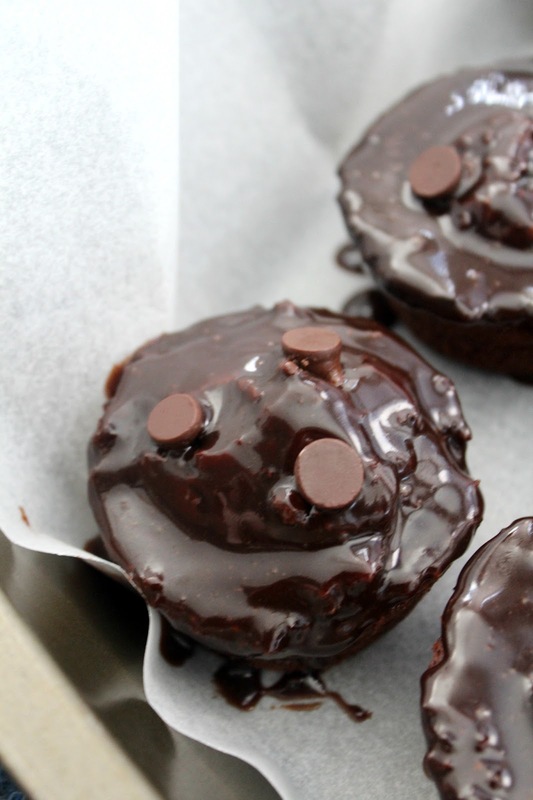 Once all the cupcakes’ tops have been covered in glaze, place three chocolate chips on each cupcake, making the shape of a triangle. These chips act as the cauldron bottom’s feet. Place the cupcakes in the fridge and allow the glaze to set completely. Once the glaze has set, turn the cupcakes back around, so they are sitting on their cauldron bottoms. 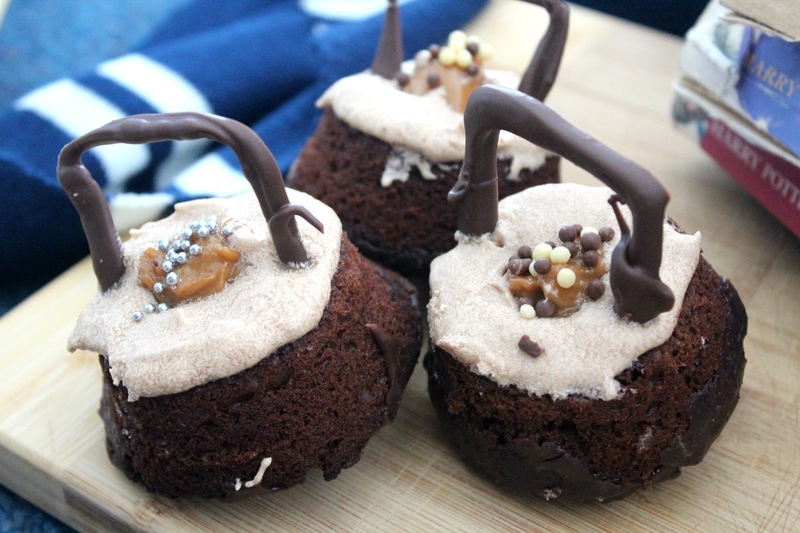 Using a spoon, place caramel into each of the holes in the cupcakes, making sure the caramel piles up on top of the cupcake. 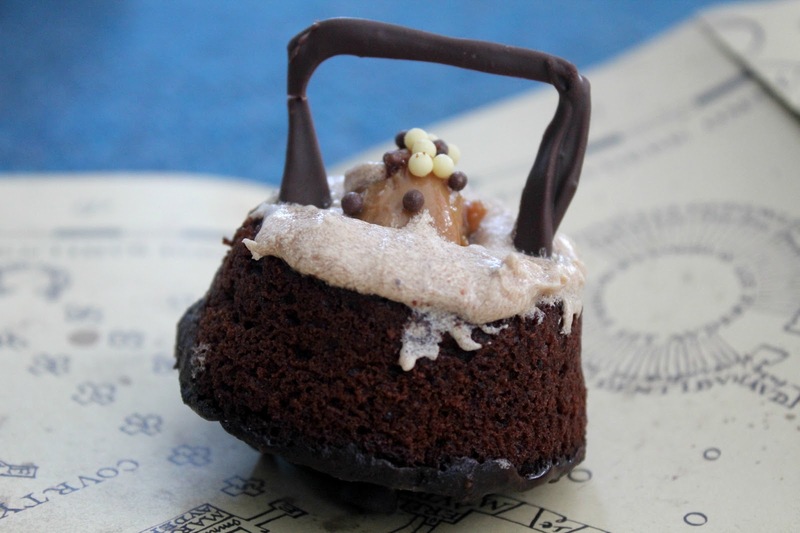 As the buttercream will be going around the outside of the caramel on the leftover cupcake top, you want to caramel to pile high above the buttercream. 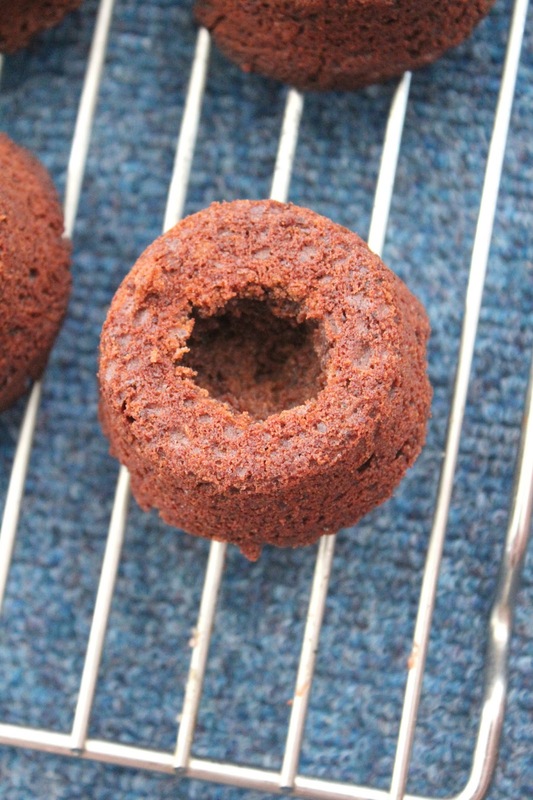 Once each cupcake hole has been filled, place cupcakes in fridge while you make the buttercream. Simply combine all of the buttercream ingredients together and cream with a mixer until smooth. The mixture should be a light brown, very smooth and creamy. Using a flat knife, gently frost the remaining top of the cupcakes with the buttercream. 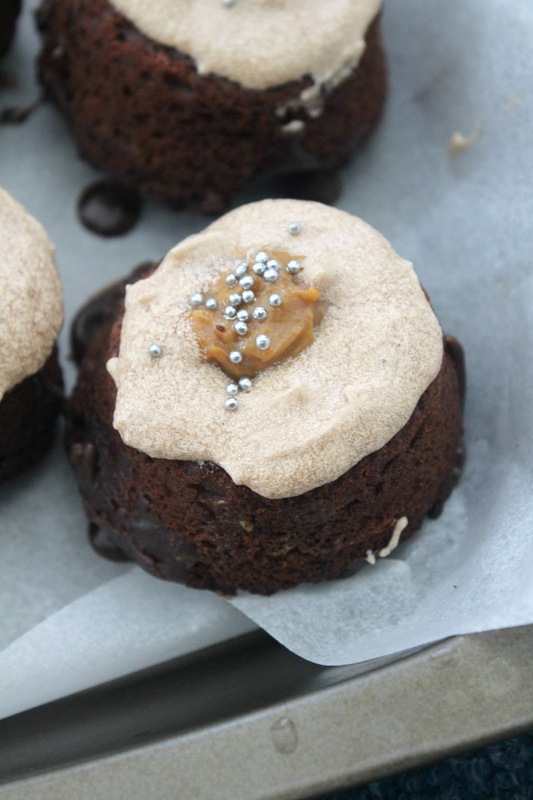 The buttercream should simply make a circle around the caramel filling, with the caramel piled above the buttercream. Then, sprinkle whatever decorations you please over the caramel. I used a variety. 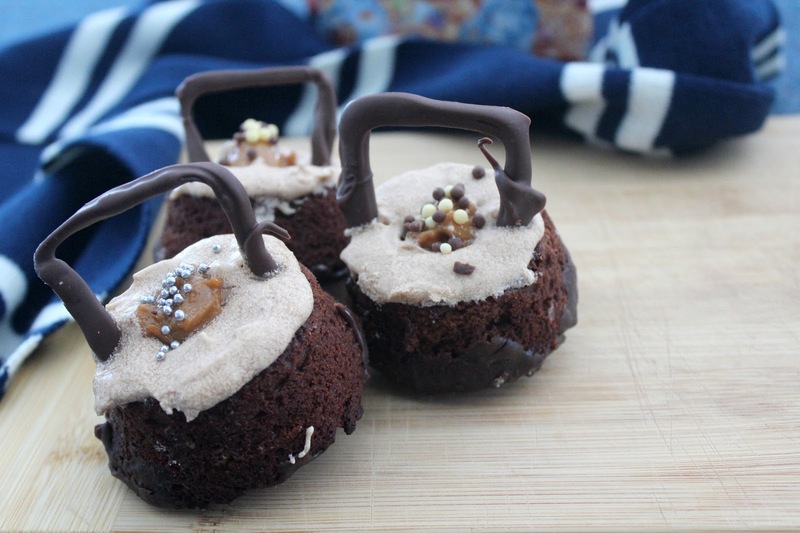 Place the cupcakes in the fridge for another few minutes while you prepare the cauldron handles. Place a flat tray in the freezer for no longer than five minutes. When removed, cover in wax paper and lightly coat the wax paper in oil spray. 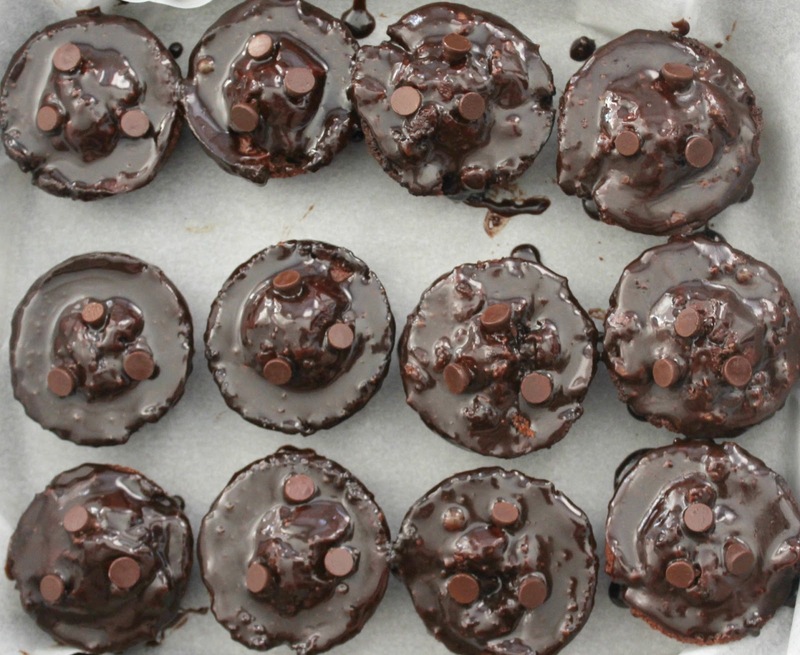 Melt the chocolate melts together and place into a piping bag. 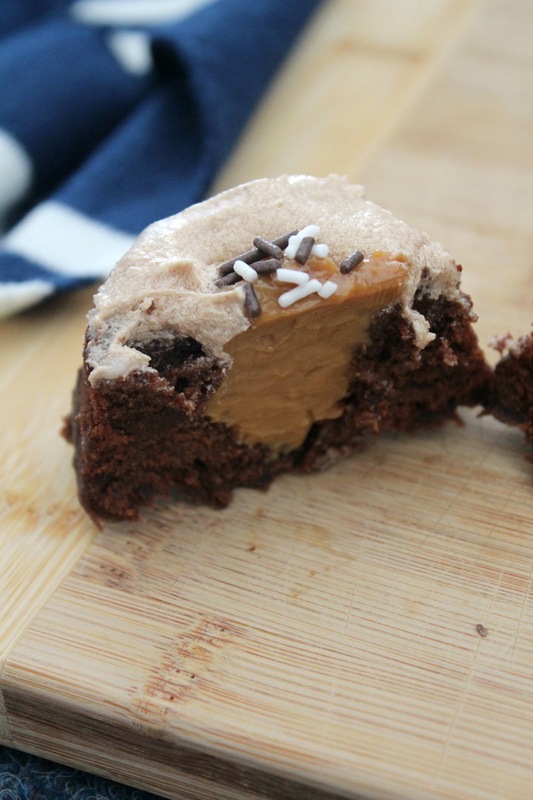 If you don’t have a piping bag, place the chocolate into a sandwich bag and squeeze the chocolate into one corner. Cut off one end of the bag and pipe the chocolate out that way. Before you pipe out the handles, measure the distance you need between each handle (I need a 4- 4 ½ cm distance between each side of the handle. Using a rule, measure out the correct handle width and then pipe out the handles on the cold wax paper. 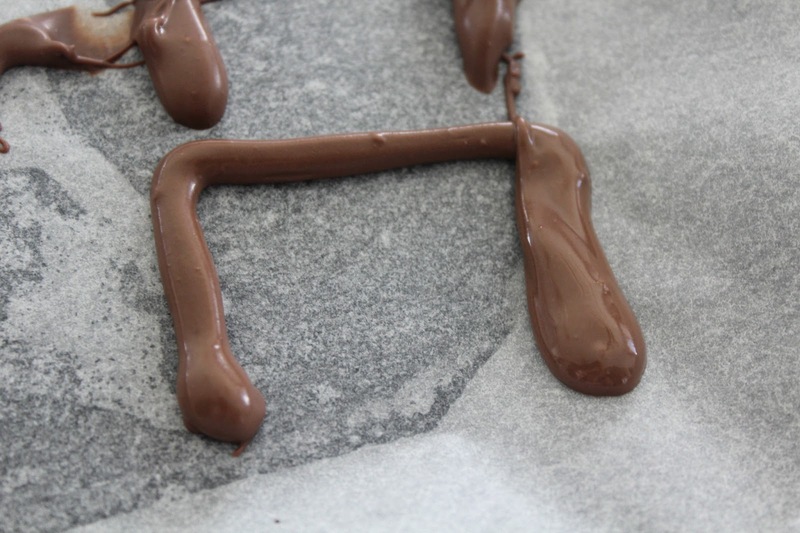 Simply make a U-shape in the necessary width with the melted chocolate. Using a cold tray helps the handles to set faster. Place the handles in the fridge to set. Once set, remove both the handles and the cupcakes. It won’t take too long. The buttercream should be slightly set by now. 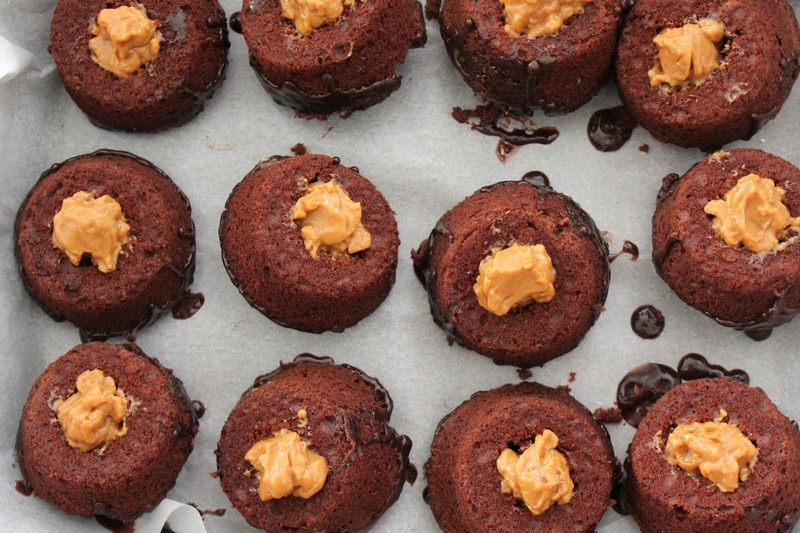 To complete the assembly, gently pry the handles from the wax paper and place into cupcakes. As you will be placing the handles into buttercream and then into the cupcake itself, to make the handles stay in place, make indents into the buttercream and cupcake with a knife. Place the handle into the small indent you made with the knife. It will help to keep the handles up straight. Once the handles are in, return the cupcakes to the fridge to set once more. Again, this will not take long. Serve the cupcakes cold and store in refrigerator. I literally cringe when people say that Hermione and Harry should have ended up together. No. No. No. These are so cute! I had no idea that today is the anniversary of Voldemort's death but I just shared that little tidbit on Facebook so now everyone knows! The Wizarding World of Harry Potter is like the ultimate vacation. I swear if I don't go there before I'm married, my future husband and I are going to be making a 1 day stop at everything-Harry-Potter before going to Disney World for our Honeymoon. haha. Oh my god. Thank god someone else understands that Harry and Hermione are like brother and sister. I'm pretty sure there is an actual line in the 7th book when Harry tells Ron "she's like my sister". Potter lovers unite! None of my friends really know Harry Potter but I told like, my entire family haha. And yes, the Wizarding World must happen at some point. I'll spend days there. My gosh these are so adorable! 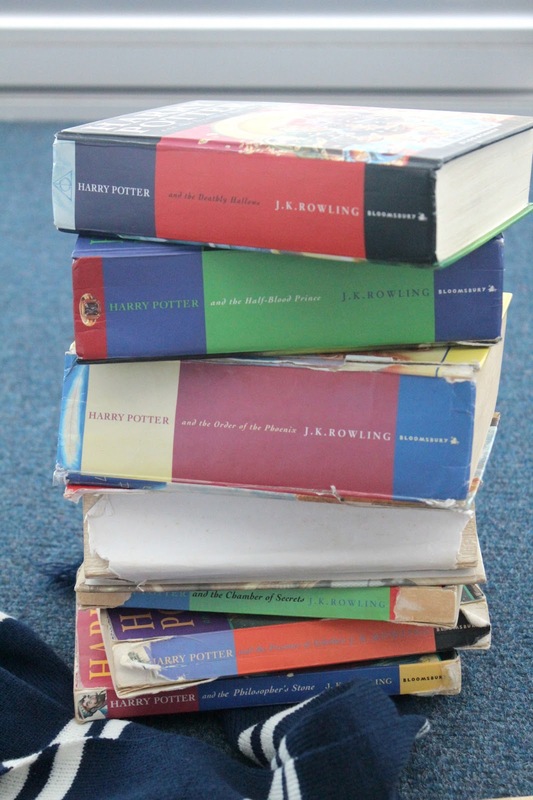 I love how into HP you are.. I read the books but couldn't stand to watch the movies. I wasn't a huge fan but totally get all the points you said about how the movies changed the dynamics of the trio.